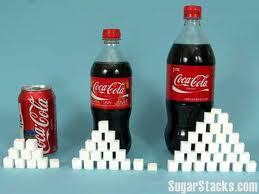 The WHO is recommending we cut sugar to 5% of our daily intake. Many people including some, ‘dieticians,’ are saying this is unrealistic! I would say that this is simply not the case and if we are serious about cutting the risk of heart disease, Type 2 diabetes and tacking obesity we simply have to take this on board. Don’t eat anything processed and if you do make sure you read the labels.10g of sugar per 100g is a lot of sugar, 2% is a little. Cook from scratch using good quality unprocessed raw ingredients. Adopt a low G.L.Eating plan, Buy Patrick Holfords Low GL Cookery Book. If you feel like a sweet treat snack on low sugar fruits like berries or indulge in small quantities of Green & Blacks 70% cocoa solids dark chocolate, Bounce balls and some of the Pulsin products are low GL too. Don’t drink fruit juices, eat the whole fruits instead. ← The Peculiar Properties of Sugar and ill Health!